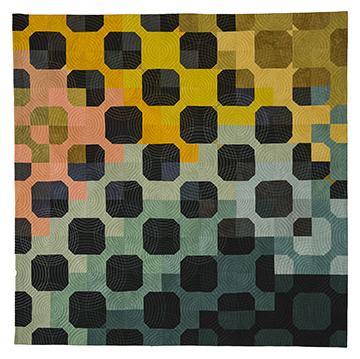 Quilt National is a biennial juried competition dedicated to the promotion of the contemporary art quilt, produced and circulated by The Dairy Barn Arts Center, Athens, Ohio. It is a showcase for new work produced in the two-year span prior to the exhibition. Its focus is to provide the viewer with a visual presentation of innovative trends in the medium of layered and stitched fabric. This exhibit is presented in collaboration with the Center for Families at Purdue University, in celebration of its 20th anniversary.